I think we need a label for this, somehow...a blend of favorite things and Jack Bauer and Tony Almeida at a Drive-Thru. Here is my own stuff. Less spectacular for sure, but keep in mind, there can be a difference between making something to wear, and making something to sell. With the emphasis on "can be." I've gotten the most mileage from Island Fever (far right). In the pan: a gorgeous shimmery sea blue shade, plus a medium shimmery iridescent grey. It should be pretty, but useless; something you bought on a whim because it looked nice. But it isn't useless by far. The blue shade, applied very lightly, is the most natural, unobtrusive shadow I own. It shouldn't work but it does. Hence, the Ava Luxe earrings could well correspond to this concept. Bright and pretty, but potentially utile as well. Nars Mambo, the unsung eyepencil. I paid $19 for you at Sephora, and momentarily felt a complete idiot; you can buy a perfectly decent deep brown eyepencil at Longs Drugs for four bucks. Then I started using you. Mambo is deep brown, yet possesses hints of purple and red--making it subtly ideal for green or blue eyes, and making it go with everything. Thereby replacing brown, purple, and bronze pencils for me. No, you don't swatch particularly well, but on, you are a minor genius. Dwelling in lawyer-infested California, I suspect the entire thing was less of a shock to me. And I found some people seemed to turn it into a girl-on-girl fight--not good for business, for either party. Oh well. 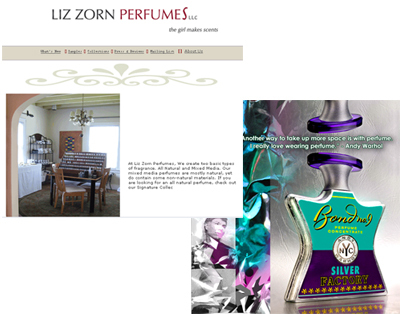 I see Zorn has some samples on her site; you might want to check them out. No, I'm not into this myself. I'm far too lazy. 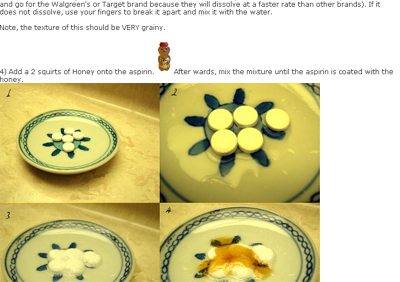 But the idea of using aspirin and honey as a mask makes perfect logical sense. You are exfoliating. Exfoliating is good. I've been trying "just notes" for random things, but I'm not sure how it might work. 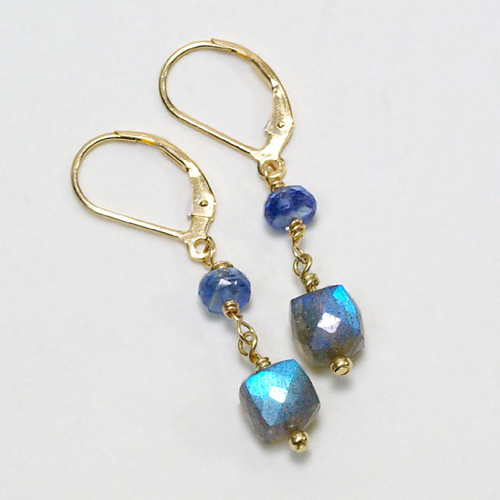 I like labradorite; from a design perspective, it would go with so many things. Pearls, watery green amethysts, mm... it's just pretty to look at. I think the reason why the blue might work is the fact that it may be a perfect contrast. A perfect contrast works better than a near match. Someone with brown hair, for example, might do well with green. Hm, it's interesting that she was able to get an interview with Laurice Rahme. I don't really buy it, though, it is insincere. But I'm tired of the issue, and I still think Bond is a silly brand, just from a purely aesthetic standpoint. It is really the sort of thing that could go back and forth forever, and I think it was very wise for Liz Zorn to drop it. Yeah...I just didn't want to leave it hanging. There was a big splash about it, then nothing. From the article, it would appear this sort of thing happens fairly regularly...and from what I've seen of lawyers, I wouldn't be too surprised. Every few months in California, you get something in the mail informing you there is a class-action lawsuit you might be able to participate in. At first I thought hey, great...then I read the thing. Usually it boils down to, you sign a form and mail it back. By signing, you agree the settlement is final, yadda yadda...and if the suit is successful, you are entitled to a $15 voucher toward, say, renewing your contract with your wireless phone company for another year...or $50 toward the purchase of a new stove. It seemed absurd to me at the time because in cosmetics, people copy each other all the time, and it's not something trifling like names, it's like, NARS makes a gold-pink-peach blush with a clever title, and everyone from Chanel to Milani has something like a year later. It seems like copycatting in this business is a given. Oddly enough, it has come up in fashion, too. I was just reading an article on Marc Jacobs' derivativeness in W today. Apparently, it caused quite the furor, and all things considered, it must have been far nastier. Fashion is bitcher than even Hollywood. I think that gold-and-sapphire earring is especially rich. The colors kind of resonate with each other in a way that the silver doesn't. If it doesn't get too heavy, some vivid green drops at the bottom would add some extra intensity. I've found it's entirely different buying jewelry, and making it. If you're buying, then I can see jewelry minimalism. That's when you would want to get the most impact out of your pieces, because you have to pay the markup. If you're making it, there's no point to minimalism. That's when you want to experiment and develop your own designs--which tend to be specific to you. When I'm making anything, I don't tend to lay it out, I tend to put it on. I'll try it on as I'm making it. Now if you're selling it...that's when the design itself would take precedence. Because you have no idea who's going to wear it. I have some tiny emeralds actually, I got them at the same time as the sapphires. It's amazing how tiny these things are. Imagine cutting and drilling them. I was going to make something similar to these hoops using emeralds...but also thinking of combining the stones somehow.